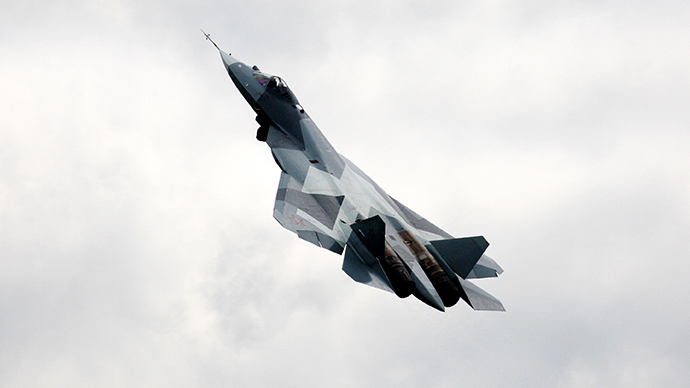 Sukhoi PAK-FA fifth-generation fighter jet is finalizing tests of its versatile arsenal before deployment next year. Russia’s Air Force chief says there will be no such target on the scene of operations that the fighter would not be able to engage. 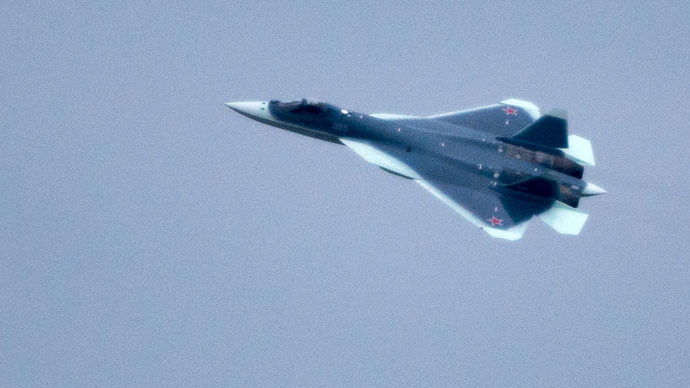 When compared to American F-22 or F-35 5G fighter jets, Sukhoi PAK-FA (T-50) is going to “outperform them in all technical aspects,” the commander of the Russian Air Forces, Lieutenant General Viktor Bondarev said on Thursday. 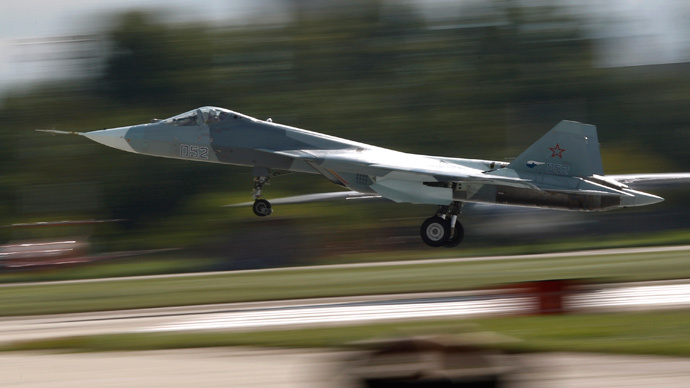 The PAK-FA fighter jet is going to be truly multirole, being able to equally engage targets “on the ground, in the air and on the sea,” he said, confirming that in 2016 the Air Force will first get the aircraft, then in 2017 the PAK-FA will go into serial production. 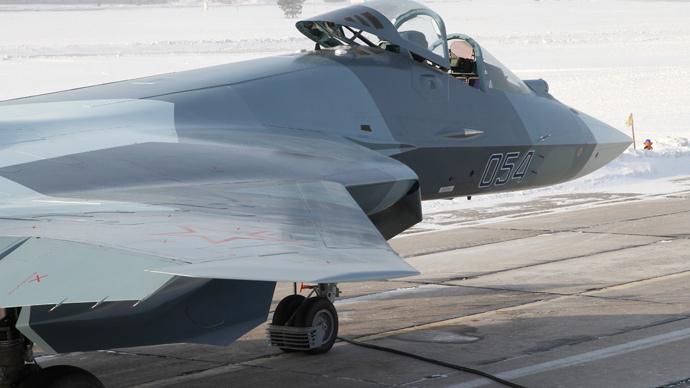 With the cutting-edge equipment installed on already manufactured machines, there are more features in development to be integrated into the fighter’s systems on later stages, said Bondarev, mentioning “practical stealth” program being applied in the PAK-FA’s development. He also said that PAK-FA is going to be less observable on radars than generally recognized American stealth trendsetter, the F-22 fighter jet. The US military officials have expressed a certain concern in regards of the upcoming Russian 5G fighter jet. “Performance-wise it certainly looks to compete with the Raptor,” The National Interest cited senior US military official comparing the F-22 and PAK-FA. The National Interest named PAK-FA “an air superiority fighter, rather than a multi-role aircraft like the F-35,” putting the capability to cruise supersonically ahead other features. The Russian Air Force plans to purchase 55 T-50 fighter jets between 2016 and 2020, was reported in December. Russia’s commander-in chief, President Vladimir Putin, and Defense Minister Sergey Shoigu have approved return to production of the Soviet strategic bomber Tupolev Tu-160, the world’s largest combat aircraft. 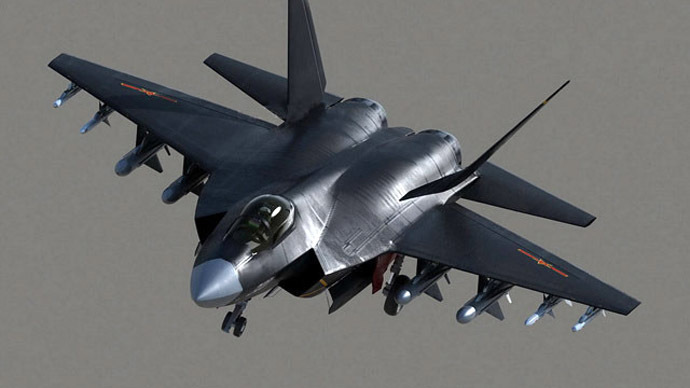 The aircraft is going to be produced in modernized version and in order to repay expenditures, “no less that 50 machines will eventually be produced,” Bondarev said. There are 16 Tu-160 strategic bombers currently operable in Russia, that’s all that is left of 60+ planes produced in the USSR. After the fall of the Soviet Union most Tu-160s were left in Ukraine, where they were destroyed under a US-financed program. Bondarev stressed that production of modernized Tu-160M aircraft would not interfere with development of PAK-DA (Perspective Air Complex of Long-Range Aviation) strategic bomber. In August 2014, the general confirmed that the Air Forces expect the Tupolev Corporation to produce first prototypes of PAK-DA by the end of the decade and launch series production in 2021-2022.